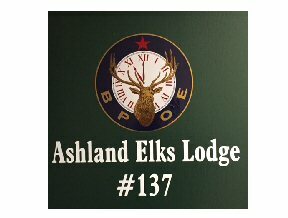 The Ashland Elks Lodge was chartered in 1900. It’s the oldest, and with over 150 members, the largest fraternal organization in Ashland. The primary focus for the Elks is the community at large, the youth, and the veterans. We offer more than 20 different programs and events during a typical year. New members are always welcomed and membership is open to both men and women. Benevolent and Protective Order of Elks or BPOE, “Best People on Earth.